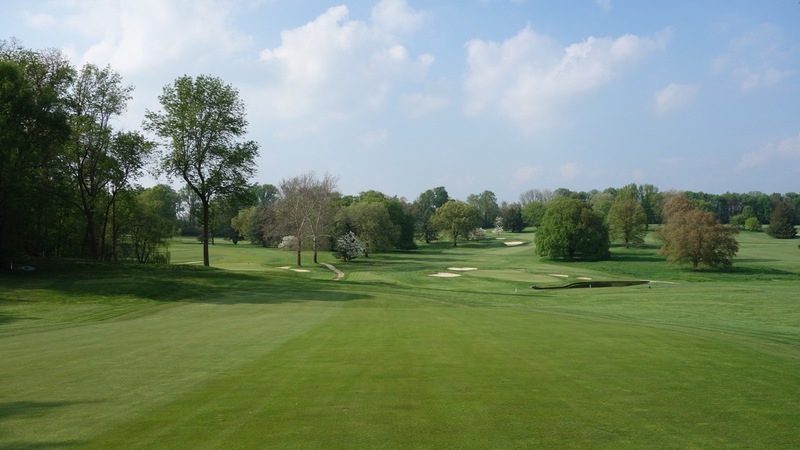 The 18-hole “Gulph Mills” course at the Gulph Mills Golf Club facility in King of Prussia, Pennsylvania features 6,289 yards of golf from the longest tees for a par of 71 . The course rating is 70.4 and it has a slope rating of 131 on Bent grass. Designed by Donald J. Ross, ASGCA, the Gulph Mills golf course opened in 1916. Helen Lowjuwski manages the course as the General Manager. From Philadelphia – Take 76 West to Gulph Mills Exit 330. Take left at 1st stop sign, then take immediate right at the traffic light. Bear left at fork in road where Rt. 320 bears off to right. Go past Septa Train Station on left and at top of hill, turn right onto Swedeland Road. Driveway is on left. From Wilmington – Take 476 North to 76 West (Valley Forge). Once on 76 West, exit immediately at Gulph Mills Exit. Follow Philadelphia directions above. From New Jersey via PA Turnpike – Take Turnpike to Exit 20 and follow signs to 476 South. Once on 476 South, exit at 76 West. Once on 76 West exit immediately at Gulph Mills Exit. Follow Philadelphia directions above. From Central Pennsylvania via PA Turnpike – Take Turnpike to Exit 326 (Valley Forge). After toll booth stay in left lanes and follow 76 East. Go 3 miles to Gulph Mills Exit. Once on exit ramp, stay to left and turn left at traffic light onto South Gulph Rd. Pass Septa Train Station on right and make next right after station. Cross bridge and make immediate left onto Swedeland Rd. Driveway is on left.